We are introducing a new platform for talented young student artists. Streetlance is a new website: an online artist marketplace where people can buy and sell creative mini services! Like in the old days artists make money on the street with their talents, ideas, skills or services. Streetlance.com is the rebirth of street busking! Our goal is to inspire people to be more creative, so they will find their own way to make money online with their creativity. We believe Streetlance will bridge the gap between the student artists’ expectations and the reality of employment. Our beta version has been launched a couple of months ago and we are looking for talented young artists to join our community. 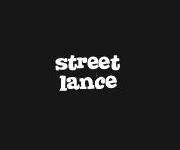 Fashion designers, writers, songwriters, entertainers, illustrators, painters, performers, dancers, musicians, graphic designers, videographers, typographers, are all welcome to join Streetlance. Our approach is unique. We offer student artists great opportunities to pitch themselves and make money by doing mini jobs. As freelance artist on Streetlance you can post a pitch and offer a small creative service for a small price which you can finish in for example 15 minutes. Great way to promote yourself, gain experience, make money, build up a portfolio and attract new clients. And by the way, small orders leads to big orders right? To join our community, student artists must be creative, think out-of-the-box and come up with unique ideas and custom services. Registering is free and you can post unlimited pitches, we even recommend you to do this. There are also tools available which you can use to share your pitch socially in order to attract more buyers.